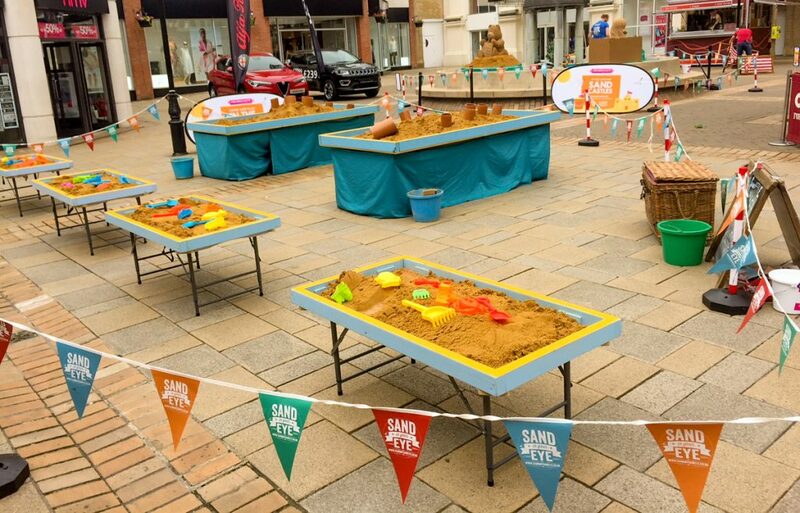 We recently took part in one of the One Great Day events happening all over the UK. 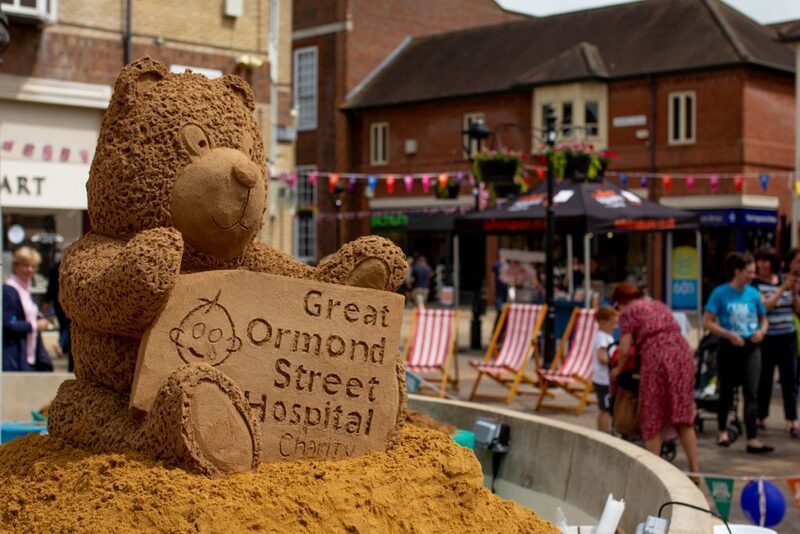 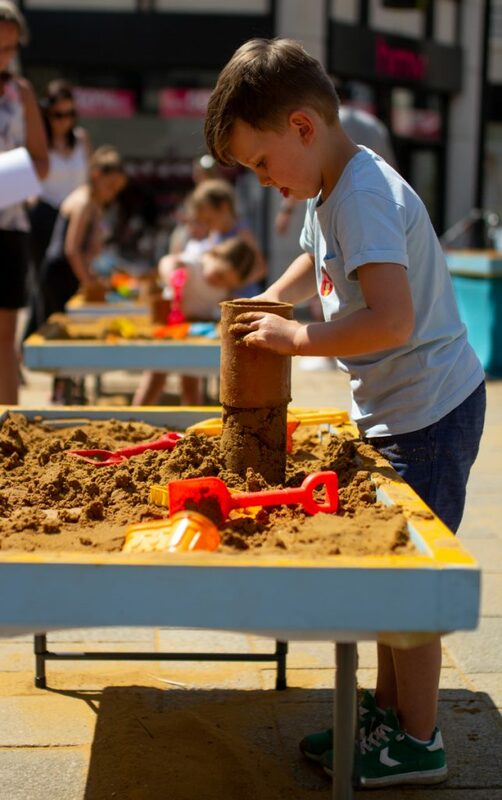 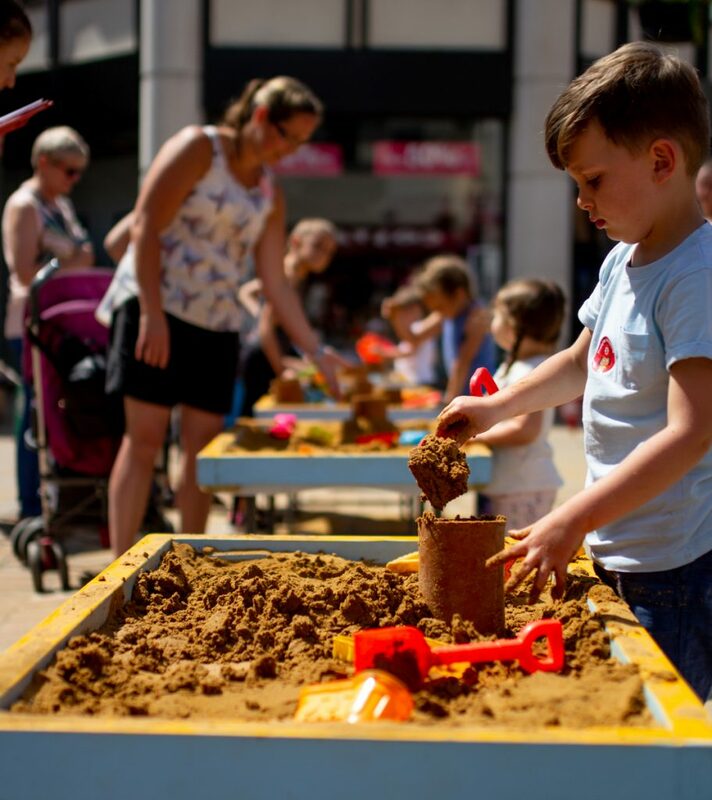 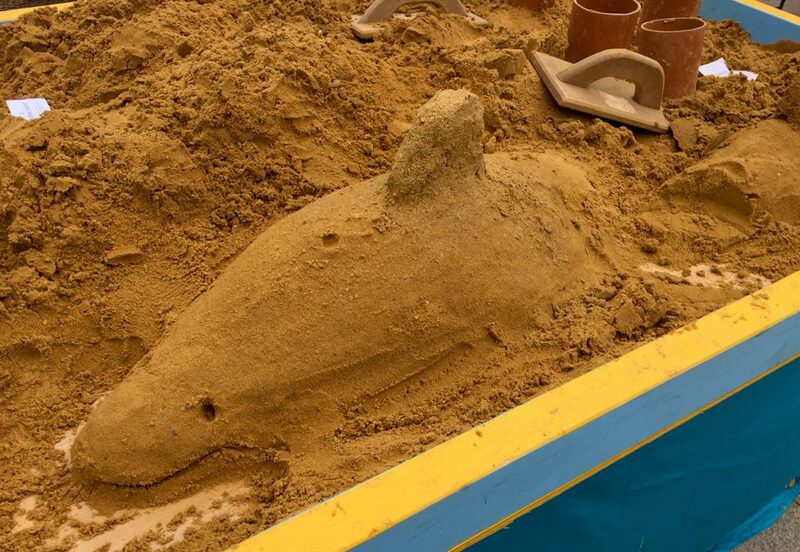 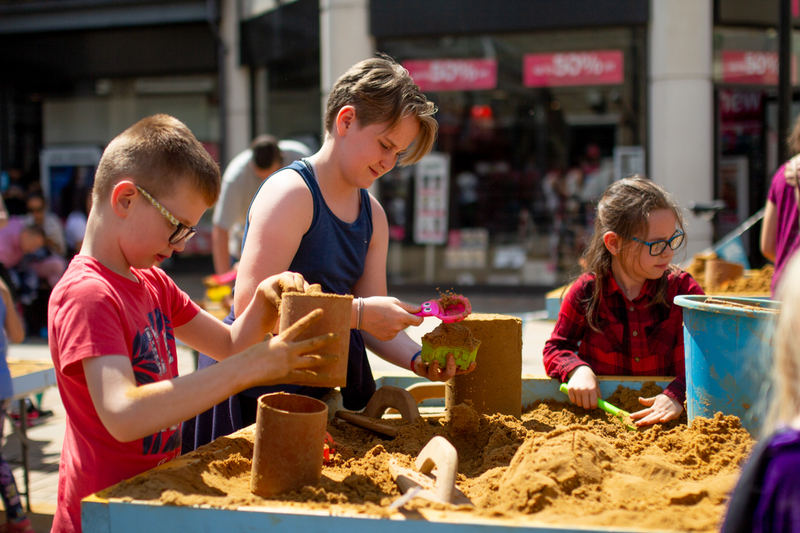 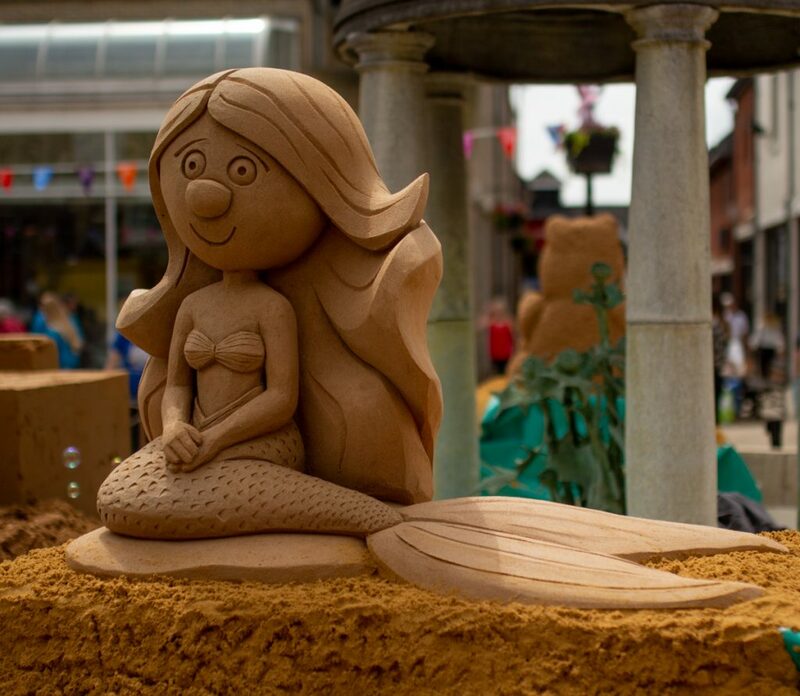 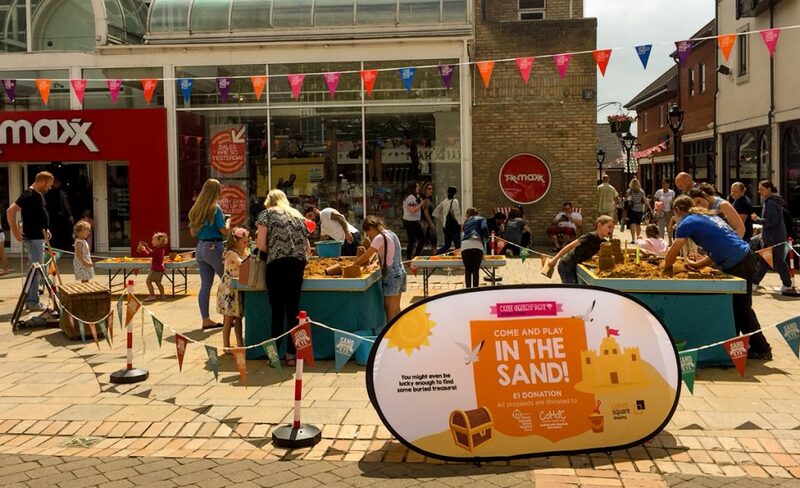 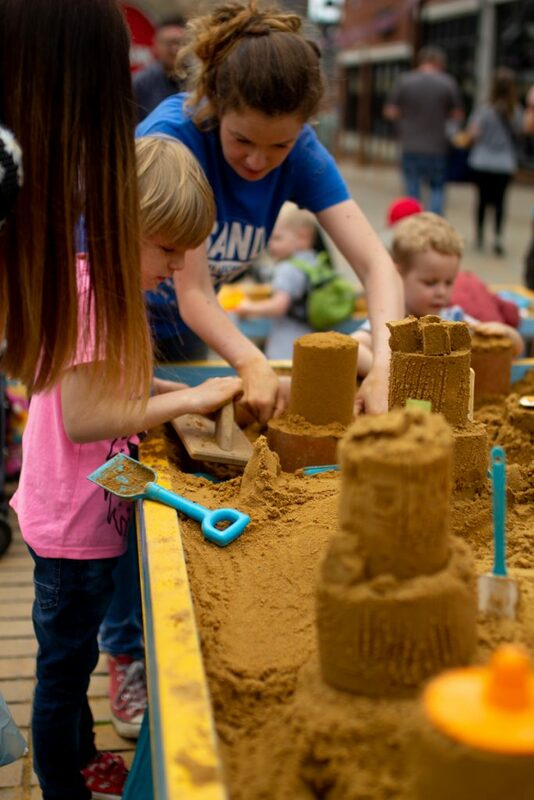 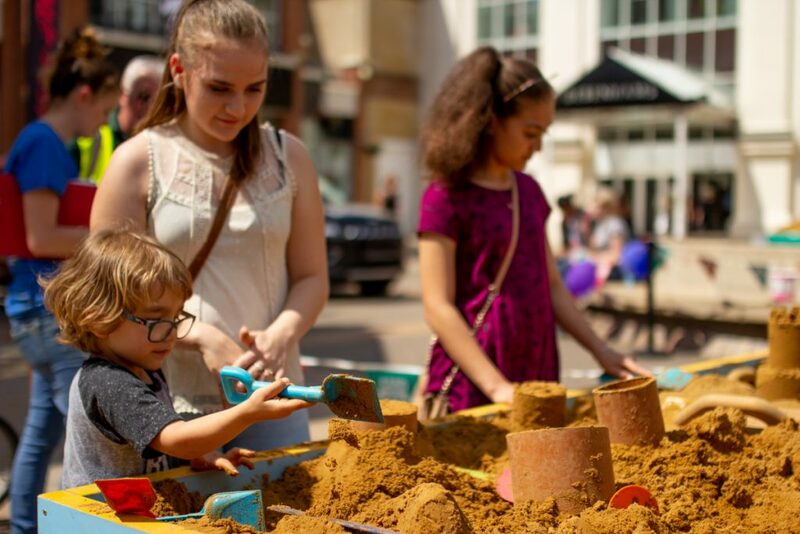 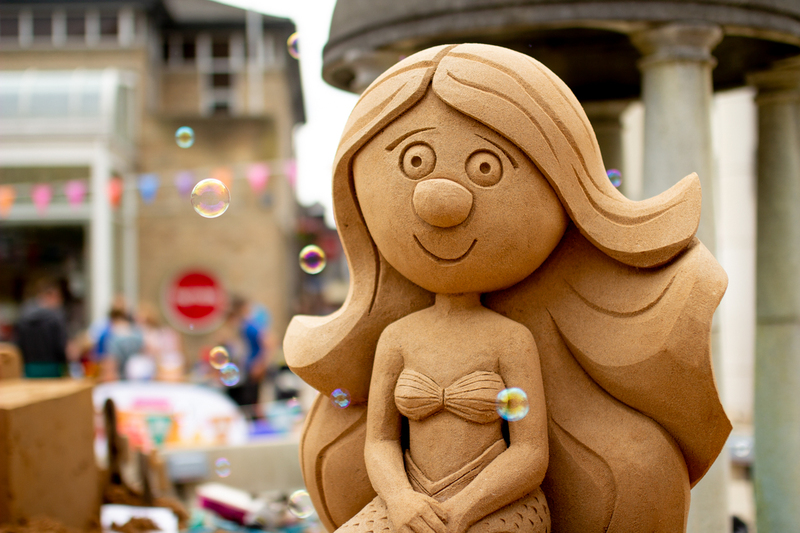 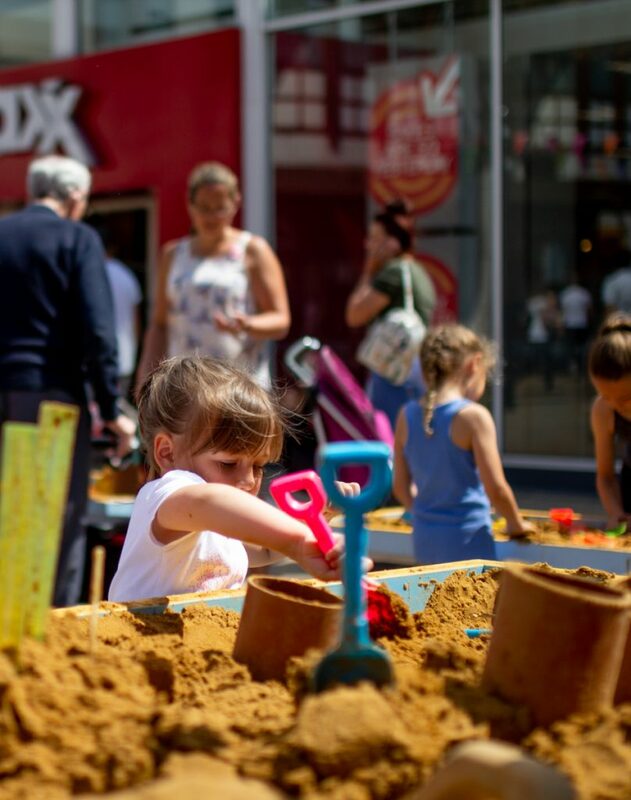 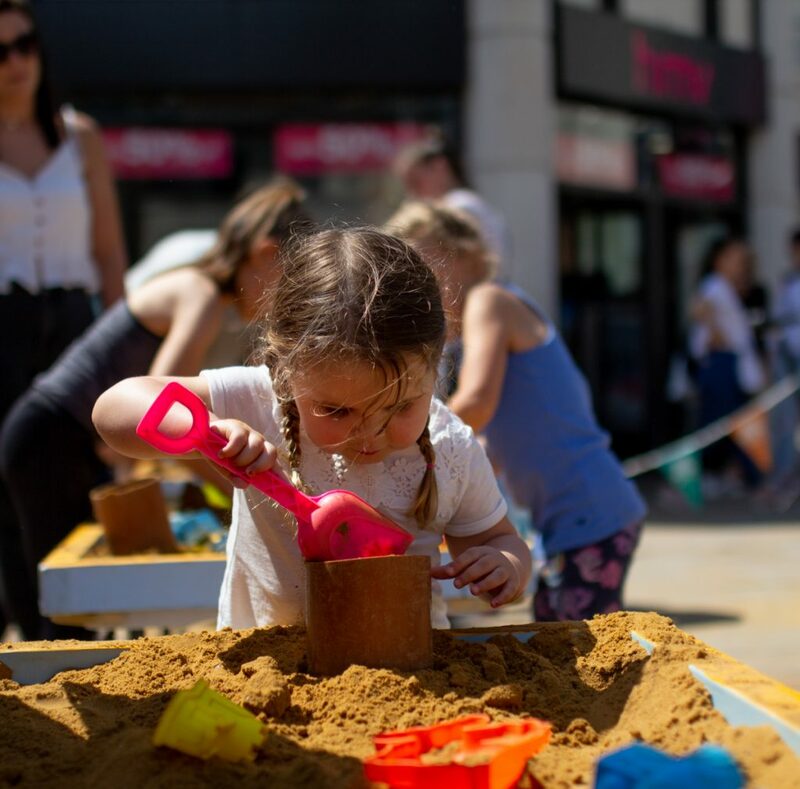 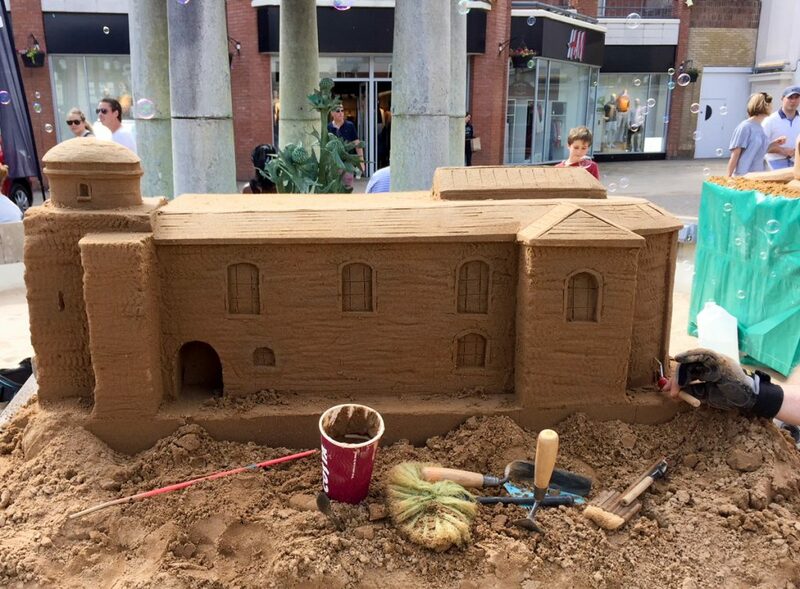 We were invited by Culver Square Shopping Centre to create 2 pre carved sand sculptures, along with a live carve sand sculpture and our pop up sand sculpture workshops. 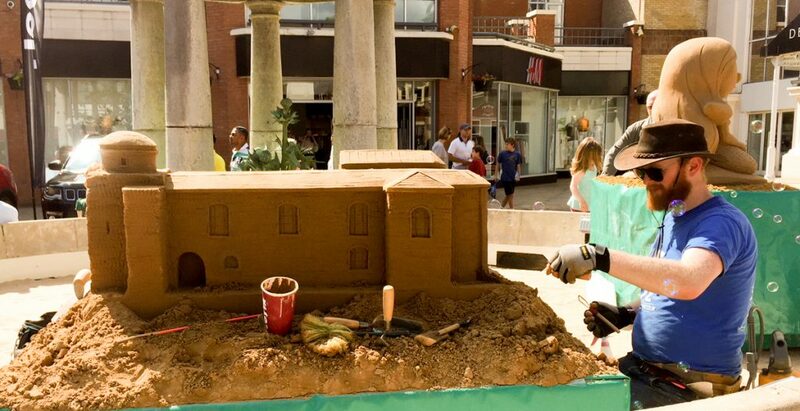 The day was focused around the fountain in the square in Colchester, Essex. 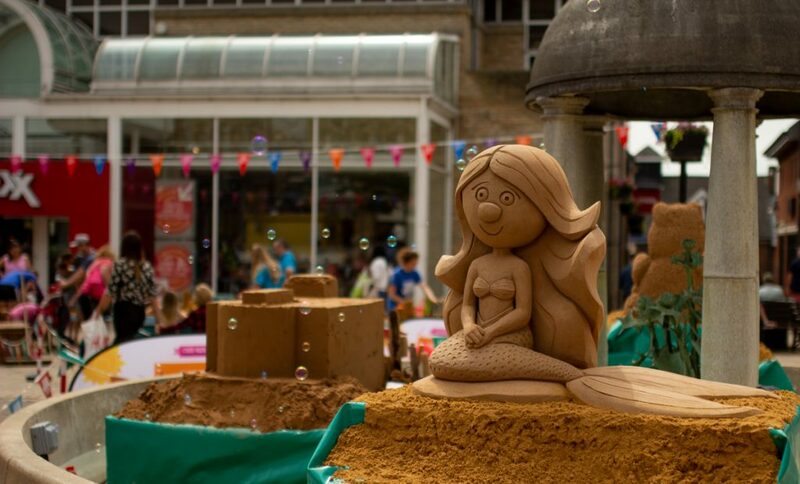 Before the event we carved two sand sculptures in our studio in Hebden Bridge, West Yorkshire and we delivered them on the morning of the event. 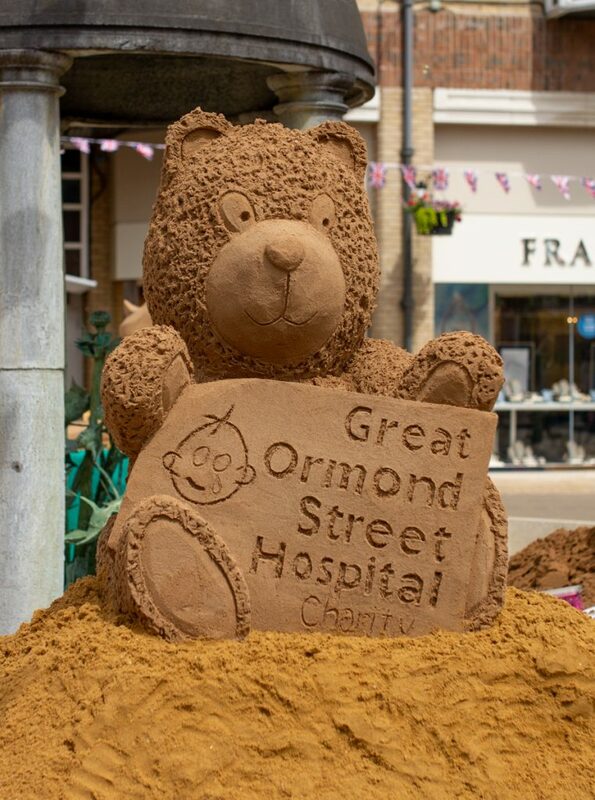 Claire made a bear with the Great Ormond Street logo and Jamie made a mermaid, which on the day was showered with bubbles! 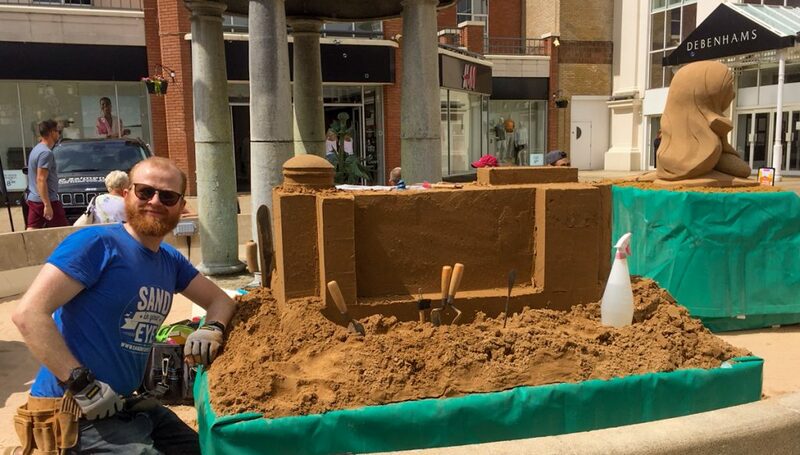 In the morning the amazing team from the shopping centre were there on hand to help us put the sand sculptures in place and set up. 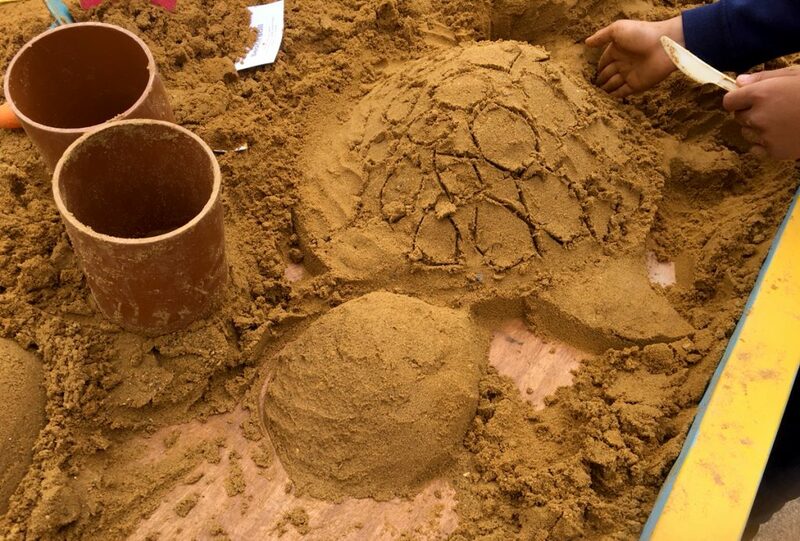 By 10am we were ready to begin. 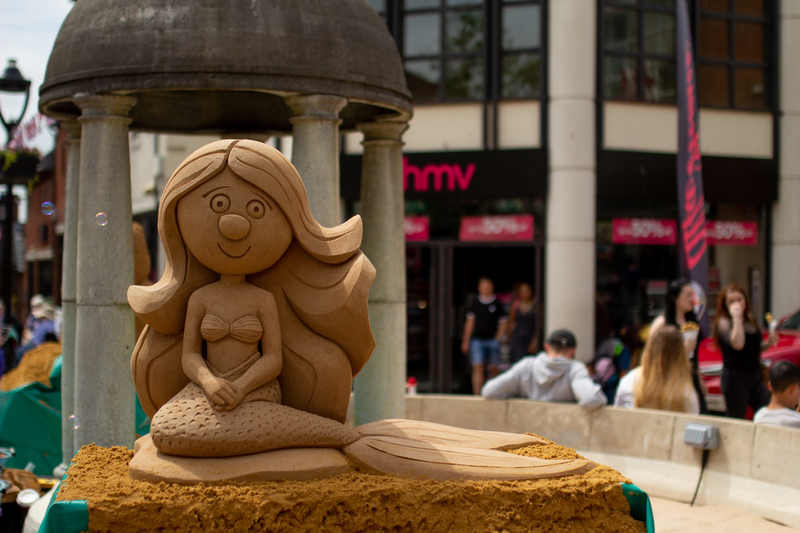 The workshops were a great success and busy all day, with people making donations to the charity. 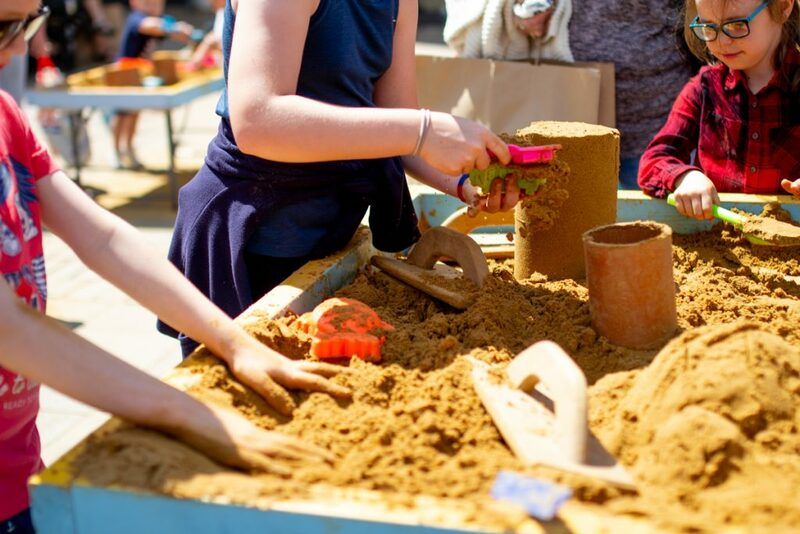 The children made some wonderful things with their families and it was lovely to have the sun shining too! 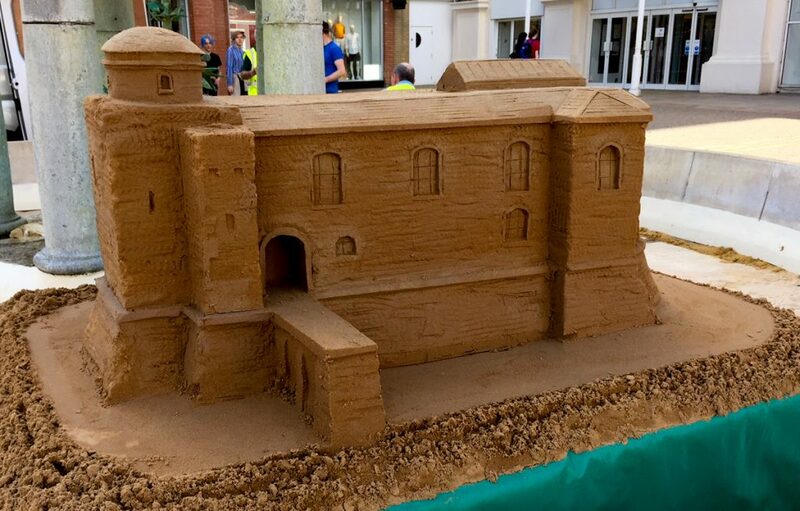 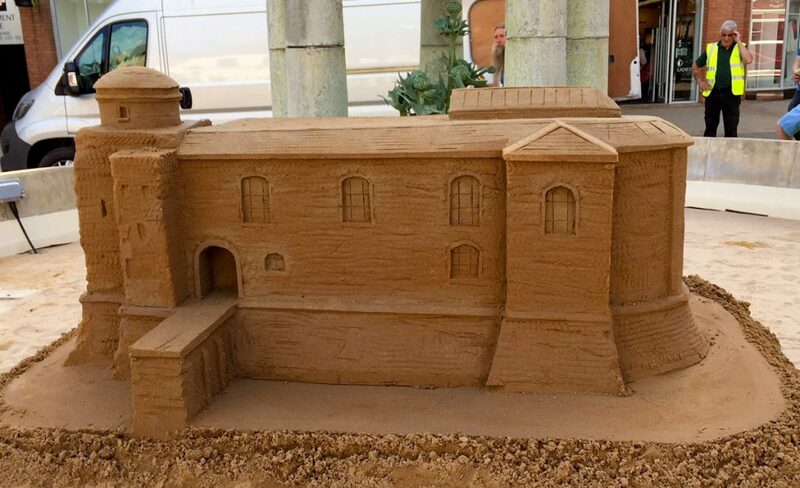 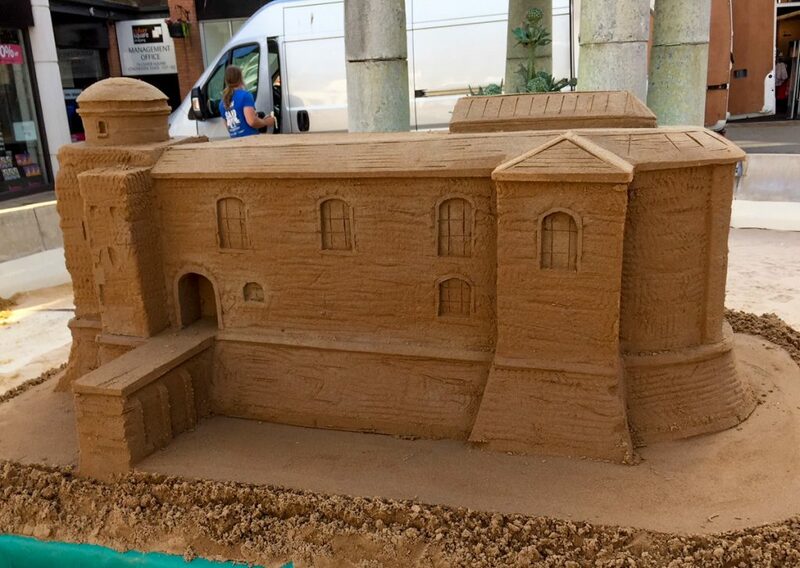 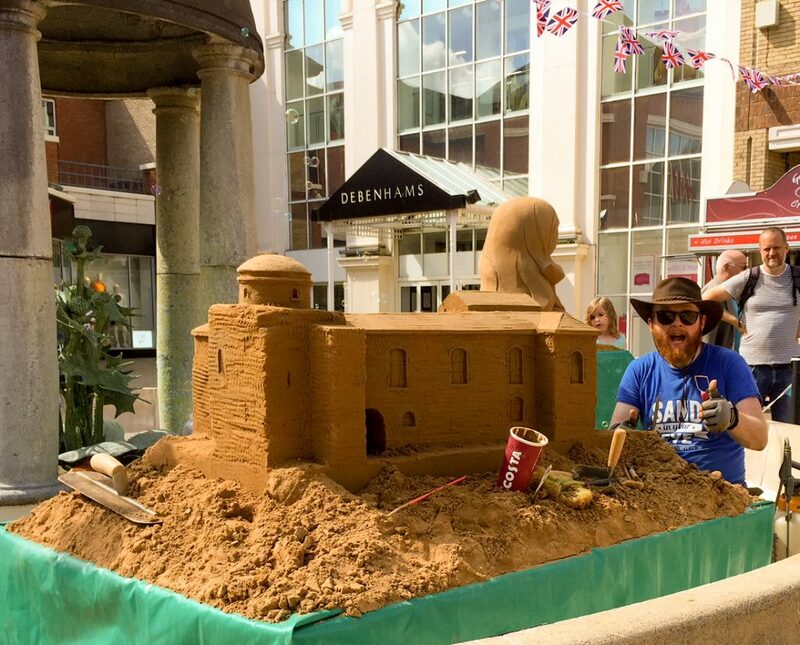 While the workshops were taking place, Jamie concentrated on creating a sand sculpture of Colchester Castle. 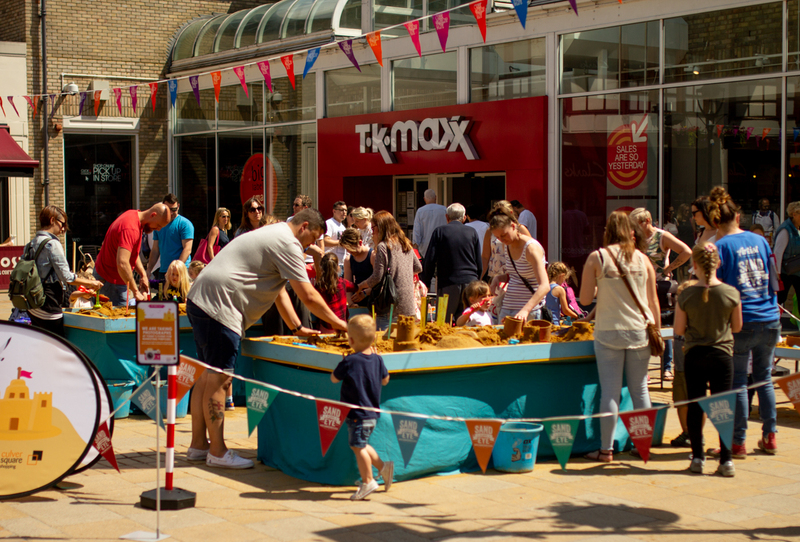 The team from Culver Square gave away prizes, there was candy floss and even a giant deckchair. 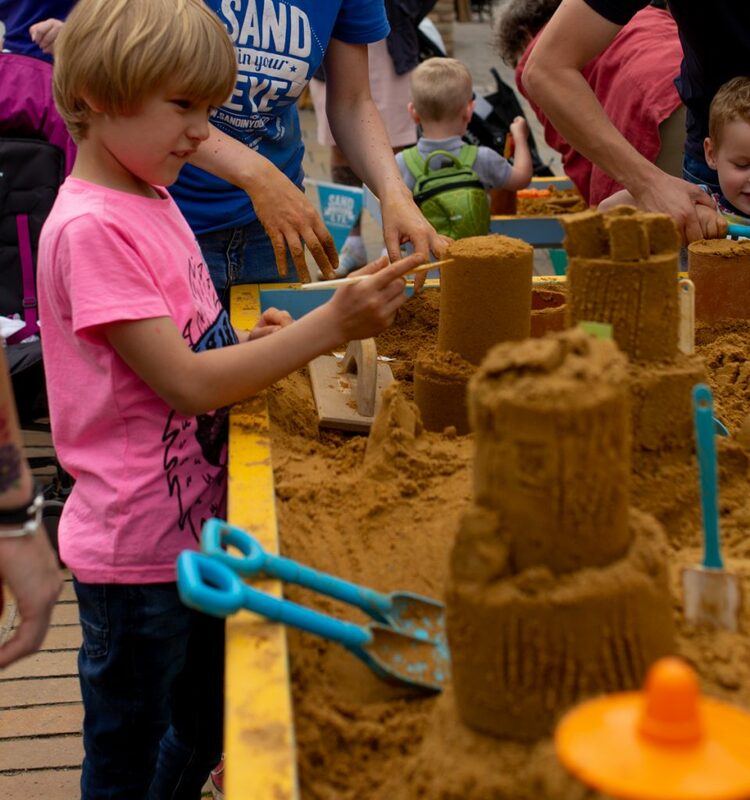 We had really great feedback from people on the day and it was one of those events that was fun and lovely to be part of from start to finish. 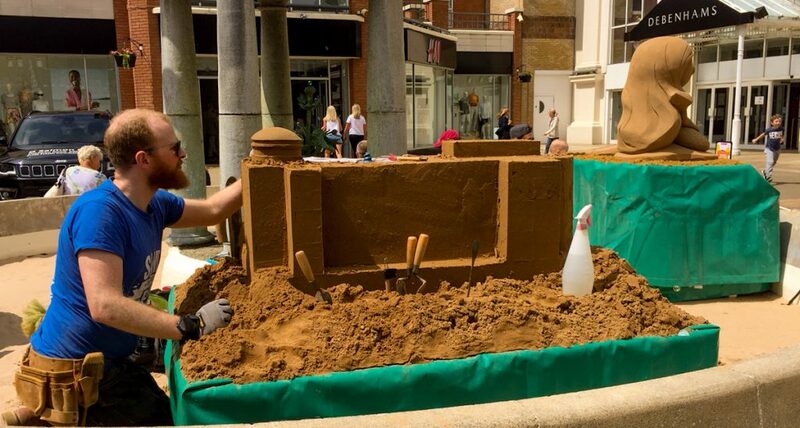 A massive thank you to all the team at Culver Square for getting stuck in and their hospitality. Take a look at some images from the day.